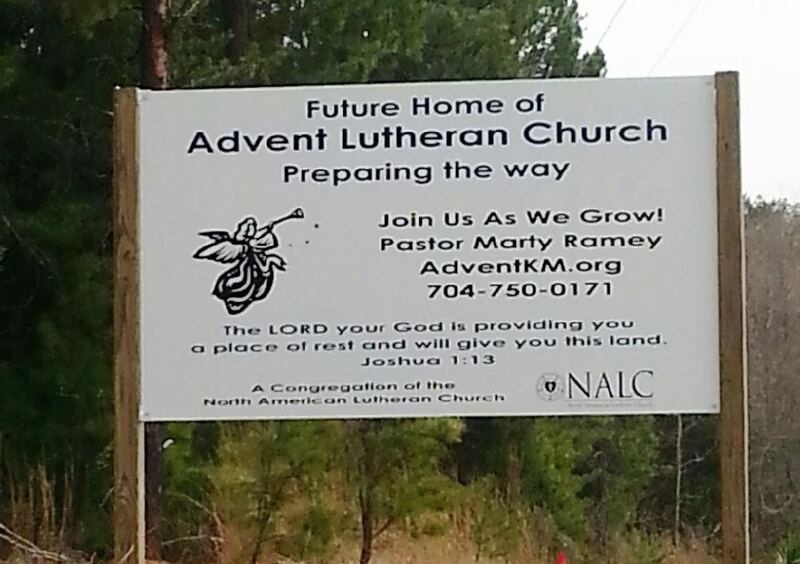 Advent Lutheran Church of Kings Mountain — the first NALC mission congregation in North Carolina — has purchased 13 acres of land. 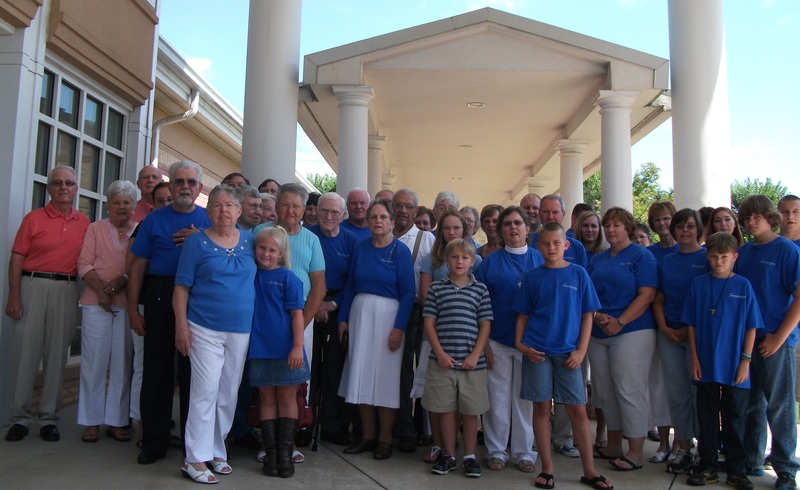 The congregation was formed in November 2010 and now has 130 members, with average worship attendance of 70 to 75 each Sunday. 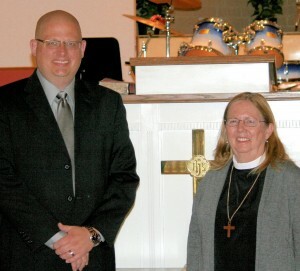 With the faithful giving of the congregation, Advent moved from part-time to full-time support of its pastor, the Rev. Marty Ramey, in July of 2012. Pastor Ramey has been with the congregation for most of its existence, starting as the regular supply pastor shortly after the congregation formed. Members of Advent Lutheran Church pose for a group photo. The congregation currently meets in the Lawrence Patrick Senior Center in Kings Mountain. Weekly activities are graciously hosted by local congregations that have supported Advent in its mission. The Wednesday Bible study meets at Boyce Memorial Presbyterian Church. Mission Team meetings are held at Boyce and at East Gold Street Wesleyan Church, which has also provided an office for the pastor. Pastor Scott Whitney (left) of East Gold Street Wesleyan Church and Pastor Marty Ramey of Advent Lutheran Church. The two congregations worshiped together for midweek services during Lent and Holy Week. Advent Lutheran Church joined with East Gold Street Wesleyan Church to offer Ash Wednesday and mid-week Lenten services every Wednesday during Lent. They will also have Maundy Thursday and Good Friday services together. All of the services were held at the Wesleyan church but have followed Lutheran liturgies — a new experience for many of the Wesleyans, and one they seem to have appreciated greatly. On Ash Wednesday, they had over 70 in attendance and for the Wednesday services, an average of about 40. This ecumenical worship opportunity has enriched both congregations, Pastor Ramey said. Over the past three years, the Advent Growth Fund grew to the point where the congregation was able to purchase land for its future home. The church is now in a new growth phase to begin the process of setting aside the financial resources needed to fund its initial building. Advent has received generous support from several congregations in the Carolinas Mission District. They have received financial assistance but even more important are the prayers and interactions with these congregations. The spiritual support of others reminds the congregation that it is not alone, that it is part of a greater network of Christians who work together to serve Christ and carry out his Great Commission. Advent will celebrate the acquisition of this property with a service of dedication on May 18 at the property. Pastor Carl Haynes, Dean of the Carolinas Mission District, will lead the dedication, and the congregation and its mission partners will enjoy the fellowship and good food of a Carolina barbeque following the service. Learn more about Advent Lutheran Church at www.adventkm.org.